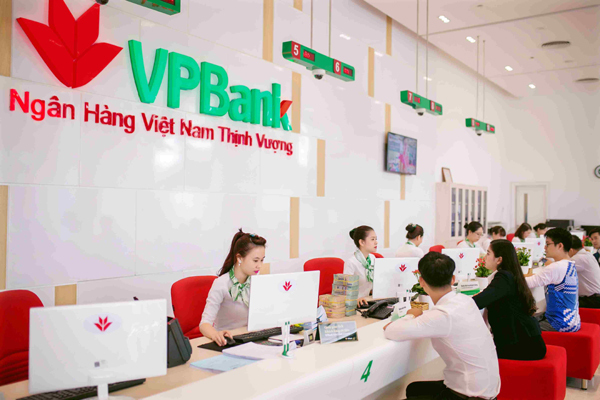 Việt Nam Prosperity Joint Stock Commercial Bank (VPBank) achieved a 41 per cent year-on-year rise in pre-tax profit of VNĐ6.1 trillion (US$261.1 million) in the first nine months of this year. VPBank on Monday released its financial report in the third quarter, with total consolidated operating income (TOI) of VNĐ22.1 trillion, marking a 26 per cent year-on-year increase. TOI from its banking services excluding subsidiaries reached VNĐ10.7 trillion, increasing 28 per cent from the same period last year with pre-tax profit of VNĐ3.8 trillion. VPBank’s efforts and investment into digital banking and automation have helped the bank save operating costs and maintain cost-to-income at the effective level of 35 per cent. VPBank’s outstanding loans stood at VNĐ211 trillion with mobilised capital of VNĐ212.7 trillion, representing 17 per cent and 11 per cent year-on-year increases respectively. The bank’s total assets were up 17 per cent from last year to VNĐ296.2 trillion. Following Government and State Bank requirements to enhance control of credit growth, curbing inflation and consumption lending, VPBank had lowered its credit growth targets, especially consumption lending. In addition, VPBank had restructured its portfolio and its financial company FE Credit where the bank holds 100 per cent of charter capital. These moves had helped the bank ensure suitable credit growth under the central bank’s allowable level and flexibly meet the market changes. The bank has seen positive results from its transition in term of revenue from service fees. At the end of the third quarter, its revenue from bank fees had gone up 38 per cent from the previous three months. Its efforts and investment in digital banking and automation had helped the bank save operating costs and maintain cost-to-income at an effective level of 35 per cent and return-on-equity at 21.2 per cent. Its capital adequacy ratio reached 13 per cent following the SBV’s regulations and 12 per cent under Basel 2 standards. VPBank also planned to ask the central bank for permission to apply for full Basel 2 recognition of its risk management from the beginning of next year, one year sooner than the SBV required. If the proposal is approved, VPBank would be one of first banks in Việt Nam to apply for Basel 2. FE Credit also posted positive signs with around 4 million active customers and 500,000 credit cards, according to figures from MasterCard & Visa. The company on average issues nearly 60,000 new credit cards a month – the highest number among credit institutions in the country. FE Credit was expected to achieve high growth at the year-end. In addition, it had launched a digital lending platform allowing customers to choose products themselves and receive loans within five minutes. The technology would help FE Credit Company to maintain its leading role in the context of an increasing number of rivals. VPBank launched an innovative digital bank for the young generation named “YOLO” last month. The app provides customers with a full range of financial services, and integrates other services to cater to other needs such as transportation, travel, entertainment and restaurant reservations. YOLO MasterCard, a virtual card, enables global payment. The bank also launched VPBank Diamond which was designed for the increasing high-end customer segment in Việt Nam. The new private banking line targets affluent customers with a combination of financial solutions, including savings, lending, insurance and high-end services such as World MasterCard. It also issued nearly 33.7 million shares to employees in the form of an employee stock ownership plan at the price of VNĐ10,000 per share.As the banking sector has seen fierce competition, especially in the retail sector, VPBank’s positive changes would help it better compete in the long-term.